Listen to Michael Yon with Cap'n Ed. I want you to listen closely about 2006. He is exactly right - in more ways then he knows. My readers here though, have know it for a couple of years. More over beers some day; trust me on this - Michael Yon is exactly on target. So, we know most Leftists want a smaller US military, and a smaller role for the USA on the global stage as a result, right? We all understand that most on the USA political Left want to increase "entitlement" spending in the Federal budget in order to create more guv'munt'l dependency and therefore buy votes with borrowed money, therefore building power to themselves as creatures of the guv'munt, correct? The President is of the Left, that we can agree - correct? Big deficits get you rapid inflation and a falling dollar, correct? In the end, you have to defend the value of the dollar in order to have others keep buying your debt, correct? The method to his madness? Going forward, to defend the dollar, Washington will need to control inflation through some combination of budget cuts, tax increases and interest rate hikes. Given that the last two options would choke off renewed growth, the least unpalatable choice is to reduce federal spending. This will mean radically scaling back defense expenditures, because discretionary nondefense spending accounts for only about 20% of annual federal outlays. This in turn will mean a radical diminution of America's overseas military commitments, transforming both geopolitics and the international economy. 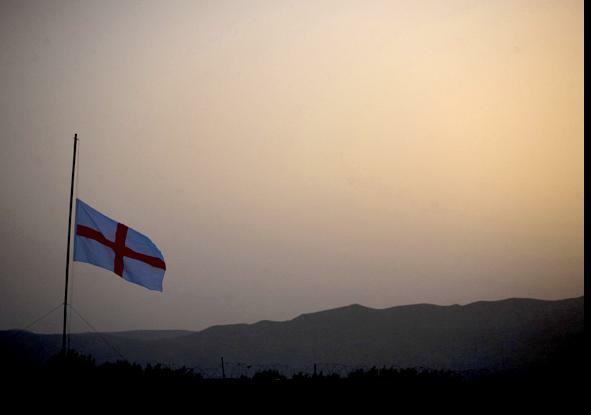 Cross of St. George over Sangin, from the photo collection that came with this article from The Times (UK). It was taken at a memorial service held at British Army base Jackson in Sangin, Afghanistan for four soldiers killed by IEDs on August 16. The soldiers killed belonged to 2 Riffles Battlegroup based in Sangin. The 2 Rifles Battlegroup include troops from 2 Rifles and 2nd Royal Regiment of Fusiliers. That is the batch that Michael Yon was working with. Nice to see the English taking back their flag. The Scots use their's all the time - why not. This is the kind of thought that bubbles around the WaPo social circles. Sure, they are supposed to have an opinion one side or the other - but really people .... these are supposed to be my and your intellectual betters? Harumph. Maybe in some areas - but not in my pool. From the WaPo's section, On Leadership, Michael Maccoby, an anthropologist and psychoanalyst who claims to be a "globally recognized as an expert on leadership," and the author of The Leaders We Need, And What Makes Us Follow, puts this out. There is no way to prove predictions of what will happen if we remove our troops from Afghanistan. The president has to weigh all the views and information available before deciding what is in the national interest. The decision to leave will also require a strategy for leaving. Ideally, the U.S. and our allies would be able to engage the Taliban leadership in negotiations so that in exchange for our leaving, they would agree to a truce. A goal of negotiations should be their agreement to stop supporting al-Qaeda, which has a different purpose from theirs. We could offer to continue economic support which would be much less costly than waging a never-ending war. Even if Obama persuades the majority of Americans that a change in strategy is based on the best assessment of the national interest, he will be attacked by Republicans who will see a political opportunity to label him as weak and by neo-con idealists who believe we can remake the world in our image. These are some of the same people who predicted we would be hailed in Iraq as liberators. Obama will need to educate the American public that we live in a multi-cultural world, that our ability to influence others is significant but limited, and that we undermine our prestige and our own values by trying to force them on others. He may be a swell fellow and have the theory of leadership down ... I guess ... but when it comes to POL/MIL and COIN he is way, WAY, out of his depth. Let me be clear and concise as can be: you cannot negotiate with the Taliban leadership. 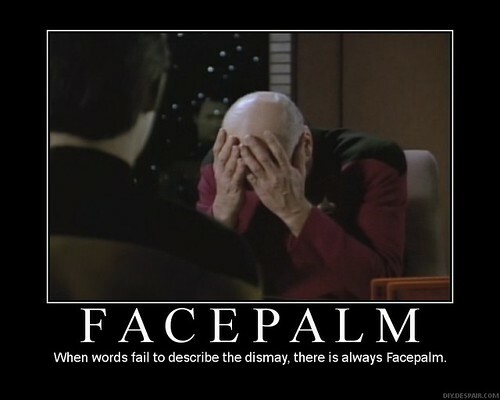 Those who state that just demonstrate their ignorance of history and the local habits. These are not Westerners with Western world-views or habits. If we walk out of AFG, it will make the fall of South Vietnam, Laos, and Cambodia look like a garden party in Rock Creek Park. That blood - like that of the millions in Southeast Asia who died due to the actions of the '75 Democrat Congress, will be firmly on the hands of those like Mr. Maccoby and fellow travelers of the American Left. He really shouldn't be walking around with his zipper down like that. Embarrassing. For some reason, this entire Leadership section is starting to look like it is trying to encourage a "Defeat of Choice" by Obama in AFG - and to spin is as wise leadership. Just to add to your fun, read the fuzzy logic of Warren Bennis, the University Professor and Distinguished Professor of Business at the University of Southern California, where he was the founding chair of The Leadership Institute. Isn't there a crucial distinction between a Hamlet, with his incessant inability to act, and an honest-to-God reviewing of past experiences? The Greeks called Hamlet's condition aboulia, a will-lessness, an inability to act. I don't think that our president has a case of aboulia. He is neither a Hamlet or a Bush, but a reflective leader. We should be, and I think will be, grateful for that. I guess the CINC will "be a reflective leader" and reflect on his one discussion this year with COMISAF while talking Olympics in Copenhagen. Why do I bother trying to give the WaPo a chance on something that sounds interesting, like a section dedicated to Leadership, when they decide to turn it into just another vehicle to promote the Democrats and bash Bush (still)? Too much aboulia going around, don't 'ya know. I have said nothing because Michael Gerson said it for me. Twice in his United Nations speech, Obama dares to quote Franklin Roosevelt. I have read quite a bit of Roosevelt’s rhetoric. It is impossible to imagine him, under any circumstances, unfairly criticizing his own country in an international forum in order to make himself look better in comparison. He would have considered such a rhetorical strategy shameful -- as indeed it is. At the United Nations, Obama set out to denigrate American goodness so he can become our rescuer. The speech had nothing to do with the confident style of Democratic rhetoric found in Roosevelt, Truman and Kennedy. It insulted that tradition. And no one is likely ever to quote the speech -- except to deride it. ... and we will fall; relatively. German voters handed conservative Chancellor Angela Merkel a second term and a chance to create new center-right government Sunday, while her center-left rivals suffered a historic defeat in the national election. Merkel succeeded in ending her "grand coalition" with the center-left Social Democrats led by challenger Frank-Walter Steinmeier, the current foreign minister, according to television projections. She can now form a government with the pro-business Free Democrats, who performed very strongly. "We have achieved something great," a beaming Merkel told supporters. "We have managed to achieve our election aim of a stable majority in Germany for a new government." She vowed to hold "swift and decisive" coalition talks with the Free Democrats' leader, Guido Westerwelle, who has been widely tipped as Germany's next foreign minister. Merkel has argued that a change of coalition was needed to ensure stronger economic growth as Germany emerges from a deep recession. In joining with the Free Democrats, she hopes to cut taxes and halt a plan to shut down Germany's nuclear power plants by 2021. They are heading in the proven path to economic success, as we head down the proven path to inflation and debt-slavery. We will have to wait. 2010, if the Dems lose the House, could provide a holding action until 2012. If we are lucky enough to get a fixer like Romney or Pawlenty in 2012, then we can start the long path to break even. We will see. Otherwise - Argentina awaits. Oh, as side note. A German named Guido. Does that sound like the start of a bar joke - or is it just me? What do you think is the most effective way of ending sexual assault in our Navy? How do we keep from victimizing the victims when we pursue justice against those committing these crimes? What will you, as a Shipmate and a leader in your workspace, your ship, or your squadron, do to help eliminate sexual assault? This was posted yesterday, and still no comments. Heck, I'll break the seal. I started the comment thread, join in. Ahem. Remember the rules of the Flag Mess though; that is his front porch, not mine. Living Color from 1989 from Arsenio.... man they were good live. Every pirate is a little bit crazy. You, though, are more than just a little bit. Like the rock flint, you're hard and sharp. But, also like flint, you're easily chipped, and sparky. Arr! See the pic on the right? This is wrong - this is not what police in a Representative Republic should look like. Before anyone pops a circuit breaker: I have disliked and opposed the militarization of the police in the Carter, Reagan, Bush41, Clinton, Bush43, and now Obama administration. This isn't a federal problem per se anyway - so put your AFDB away; this is a local problem. Police officers should not be dressed in any way like those in the military. 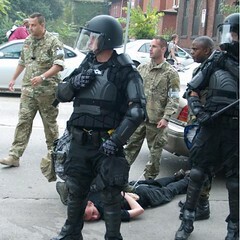 They do not need fatigues to go after protesters in urban and sub-urban environments. They also do not need to dress like some perverted mix of Imperial Storm Troopers, SS, and the dudes from Aliens. If you want to dress like that, join the military or one of those groups of goofs that run around the woods shooting paintballs at each other. Serve and Protect. Don't look like some paramilitary tool. You scare the public, and to the military you just look like poseur wannabees. You are better men and women than that - and the taxpayers you serve deserve to be represented in a more professional way. See HotAir for the details....and yea; they give multi-cam a bad name. Who wants to write the screenplay? 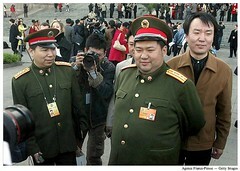 Now Mao Xinyu, the 39-year-old grandson and only surviving male heir of Mao, appears to have become the youngest major general in the People’s Liberation Army, according to the state media. That is him second from the right. All of a sudden - he doesn't quite seem so "right from central casting." He does have PawPaw's gut though. I guess the PRT requirements aren't what they used to be. He was packing to go skiing just before Christmas in 1938 when he received a call from a friend working in a refugee camp in Nazi-occupied Czechoslovakia. "Cancel your holiday," said the friend, Martin Blake. "I need you in Prague. Don't bring your skis." The young banker was so moved by what he saw that he immediately set about persuading the British authorities to let in refugee children. The response was sluggish. But after much work by Winton, a Christian whose family had Jewish roots, the paperwork for each child was painstakingly put in order. Finally the wheels began to move. Between March and August 1939 eight trains carried 669 children to Britain, who otherwise would probably have perished in the death camps. Fifteen thousand Czechoslovakian children died in the war. Read it all. Sir Nicholas Winston is still with us - and has a story to tell. As a side-bar, next time you hear someone bragg'n about what they have "done," remember this. Almost as remarkable as the scheme itself, and a mark of Sir Nicholas's modesty, was that he chose to conceal his achievements for decades. It was only when he wife Greta unearthed a briefcase in the attic contained lists of the children he saved and letters to the parents did he admit his part. He said in 1999: "My wife didn't know about it for 40 years after our marriage, but there are all kinds of things you don't talk about even with your family. Delegations from Argentina, Australia, Britain, Costa Rica, Denmark, France Germany, Hungary, Italy, New Zealand and the United States left the room as Ahmadinejad began to rail against Israel, a European source said. Israel had already called for a boycott of the speech, and was not present when the Iranian leader began his address. Canada had already said it would heed the boycott call. The problem is both generational and thick. This isn't 1965. During the summer of 1965, after his first year at the U.S. Naval Academy, Mike Mullen watched on television from his parents’ surburban Los Angeles home as the black neighborhood of Watts erupted in violence. For nearly a week that August, a race riot engulfed Watts, resulting in 34 deaths and injuring more than a thousand people. On a map of Los Angeles, the white middle-class suburb where Mullen grew up is close to Watts, but for the young midshipman, the two neighborhoods were worlds apart. “I was watching my black-and-white television 15 miles from Watts, and Watts was burning,” Mullen recalled today as he helped launch a commission to improve diversity in the military. “And I didn’t have a clue where it was, except that it was somewhere down by the coliseum where I would go as a kid to watch the Lakers play. Mullen was a junior officer when then-Chief of Naval Operations Adm. Elmo R. Zumwalt, Jr. instituted reforms to improve race relations in the Navy. In hindsight, the chairman recalled that this period of sweeping reform was a “very dangerous” and “extremely painful” time in Navy history. It was during this era in 1972 when two nefarious incidents aboard American ships in Southeast Asia highlighted underlying racial tension. “I would argue that [today] we’re better than that in terms of making this a priority and execution of change,” Mullen said. But he added that change should flow down from top military leaders, many of whom don’t act aggressively enough on behalf of diversity or simply don’t understand its importance. But Mullen today acknowledged that his presence sent mixed signals. The staff of Navy personnel he had surrounded himself with -- comprised entirely of white males -- did not square with the message he espoused. “I walked in there with an all-white-male staff,” he recalled. “One of the pieces of feedback I got from that visit was, ‘Nice try, but what about your staff?’ It was a big message.” As a result, Mullen redoubled efforts to diversify his staff, exemplifying the kind of diversifying change he saw as necessary. Two years after his speech in New Orleans -- and after he had adopted the kind of policies he had championed -- Mullen attended a poignant farewell ceremony for several outgoing members of his personal staff. Does he have any idea how corrosive that self-centered attitude of his is? This isn't about him and his feelings. We are talking about a zero-sum game here. If you do not chose based on skill and talent, but only by race - then you are no better in your mind than a member of the KKK or New Black Panther Party. Full stop. For goodness sake - we are talking about our new 18-yr old Sailors who were born during DESERT STORM in the early 1990's - many of their parents were BORN in 1965. What fault do they have - or what blame is theirs to be punished for simply being born? If someone in power feels bad about race relations when they were a child and a young adult a couple of generations ago, then that is their issue that they need to deal with face-to-face with their peers - on their own time and with their own nickel. What they should not do is to punish the young men and women born over two decades later simply on the basis of their DNA - and your own narcissistic "white guilt." A focus on race is the cause of the problem, not the solution to the problem. UPDATE: In case that is a little lame for 'ya - check out the attitude of the President's Diversity Czar, we've mentioned before; Mark Lloyd. ...Mr. Lloyd spoke about the need to remove white people from powerful positions in the media to give minorities a fairer chance. "There's nothing more difficult than this because we have really truly, good, white people in important positions, and the fact of the matter is that there are a limited number of those positions," he said. "And unless we are conscious of the need to have more people of color, gays, other people in those positions, we will not change the problem. But we're in a position where you have to say who is going to step down so someone else can have power." That is the racist attitude at the core of what the Diversity Bullies all strive to do - and from the sound of it what Admiral Mullen is/has done. Again, you may think that you only want to do something that makes you feel better about yourself - but what you are doing when you follow the cant of the Diversity industry is to empower the racist, and punish those who have done nothing but be born with a set of DNA that does not look the way you want it to. Gates: "Secretary of War" or "Secretary of Defense"
Rusty is right - there is a lot more to this article than you think. Every secdef talks about changing the Pentagon, then almost immediately gets stymied by bureaucratic resistance. Only this time, Gates' talk is turning into action—a Gates Doctrine, if you will. Its core tenets: Base policy on the wars that are most likely to happen and the technology that's most likely to work. Stop trying to buy the future when you can't afford the present. With a White House veteran's feel for Washington, a love of policy, a penchant for secrecy, and an old man's sense of the ticking clock, the silver-haired administrator has become the most dangerous person in the military-industrial complex. "I've referred to myself as the secretary of war, because we're at war," he says in a nasal Kansas twang, raising his voice over the roar of the plane's engines. "This is a department that principally plans for war. It's not organized to wage war. And that's what I'm trying to fix." Sounds like someone in the Office of the Director of National Intelligence gets it. Diversity is a mission-critical imperative for the intelligence community (IC), and our definition goes beyond race and national origin, gender and disability. The IC’s mission depends on a workforce diverse in many dimensions, requiring a wide range of expertise and deep knowledge of other cultures, languages, perspectives and ideas. ....but they still feel a need to throw virgins in volcanos. We also want to make sure that employees of all backgrounds feel they are welcome in our workplace and have an equal opportunity to advance and make a difference. To support this, we’ve recently established an IC-wide Affinity Network of 10 employee resource groups. Best-in-class organizations use these affinity groups to help recruit, retain, develop and mentor their top diversity talent. For example, we’ve sponsored a first-ever affinity group for IC employees of Middle Eastern and North African descent to provide these recruits and employees with a support system to help them navigate their careers as IC professionals. Finally, we monitor closely our annual IC Employee Climate Survey. While the Partnership for Public Service recently named the IC one of the top five Best Places to Work in Government, we know we must continuously measure progress. In that regard, we have developed a form to collect more detailed ethnicity, national-origin and cultural-origin data from heritage applicants and employees; the voluntary form recently cleared the public notice period required by the Paperwork Reduction Act, and we hope to use it soon. Above all, the success of these initiatives requires strong leadership commitment and robust collaborative partnerships — with heritage American communities and employees, equal employment opportunity, diversity and human capital professionals, and IC mission partners. By working together, we can and will make the IC an employer of choice, particularly for first- and second-generation Americans. That last part is, I would bet a cup of coffee, the work of one of the co-authors, Patricia T. Taylor who is chief, intelligence community equal employment opportunity and diversity - AKA someone who is part of the Diversity Industry whose job depends on breaking and keeping people fed a diet of sectarianism on the job. Well, we have a 50/50 here. I'll bet a six-pack of little chocolate donuts that the part I liked, the real definition of diversity, came from the other co-author, Donald Sanders, the associate director of national intelligence and chief human capital officer - you know, a dude with an eye on keeping the taxpayers absorbing oxygen. Ummm, how to 313 again? Tony Capaccio at Bloomberg has some friends I wish I had. If nothing else, he has some very blogable RUMINT. First, let's start with the official line. Navy Assistant Secretary for Acquisition Sean Stackley told reporters last week the service remains committed to buying 55 littoral ships. Chief of Naval Operations Admiral Gary Roughead told reporters Sept. 15 the service remains committed to a fleet that totals 313 vessels. You always have to start with the Direction & Guidance from the top - and that ain't ADM Roughead. The service’s proposal to trim planned spending from 2011 through 2015 to $666.3 billion from $698 billion reflects Defense Secretary Robert Gates’s guidance calling for modest growth with emphasis on improving the security of nuclear weapons and upgrading the capabilities to conduct irregular warfare and cyber defense. The Navy would trim about $25 billion through 2015 by deferring or canceling weapons programs, including a total of about $18 billion in its shipbuilding account, which includes the littoral ship. ...delay purchase of the EP-X replacement for its Lockheed Martin EP-3 Orion surveillance aircraft, according to the document. The program is in a stage of early development, and no contractor has been chosen. -- Six of seven planned amphibious warfare ships. -- Two new ships intended to replace aging command ships such as the USS Mount Whitney. -- Two of 11 of Jerry's planned JHSV. -- One of 10 planned SSN. In addition, the Navy would save as much as $825 million by retiring 20 ships one year ahead of schedule. So much for Byron's FFiG SLEP'n. The truth changes .... and will change again. These numbers, even if you assume that they are correct, working-draft sourced, will change. From my seat though, this looks about right - and in full alignment with what we have been talking about here for awhile. The gravy train is always shorter then you want it to be - and it passes through before you get your fill. If you don't know that, then you have only yourself to blame. Do not get mad at the SECDEF. Big Navy p155ed away a decade thinking that war was new, shipbuilding history can be ignored, everything was transformational, it is better to low-ball costs, and generally rely on PPT, happy talk, and the PCS cycle to work through the future fleet. Tomorrow is yesterday. FY10 is a week away there Shipmate. Learn and adjust - and do your best to rebuild our credibility. A Fleet isn't built in a day - but it can be puttered away in a decade. President Obama is exploring alternatives to a major troop increase in Afghanistan, including a plan advocated by Vice President Joseph R. Biden Jr. to scale back American forces and focus more on rooting out Al Qaeda there and in Pakistan, officials said Tuesday. Among the alternatives being presented to Mr. Obama is Mr. Biden’s suggestion to revamp the strategy altogether. Instead of increasing troops, officials said, Mr. Biden proposed scaling back the overall American military presence. 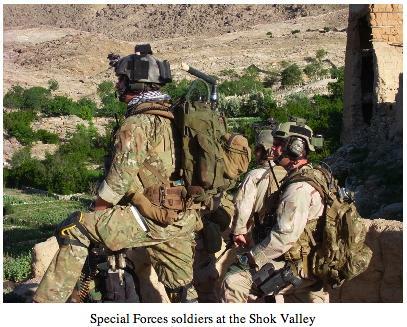 Rather than trying to protect the Afghan population from the Taliban, American forces would concentrate on strikes against Qaeda cells, primarily in Pakistan, using special forces, Predator missile attacks and other surgical tactics. The Americans would accelerate training of Afghan forces and provide support as they took the lead against the Taliban. But the emphasis would shift to Pakistan. Mr. Biden has often said that the United States spends something like $30 in Afghanistan for every $1 in Pakistan, even though in his view the main threat to American national security interests is in Pakistan. Real decline, or relative decline? You can argue that it is one or the other - or a little of both. I am more of the feeling that this is the natural result of once very poor nations, India and China, who are very large - simply becoming less poor. It is also a case, in China more than India - of an insecure nation with a long memory and some pride to get back. There is the danger. A very nice overview by Mary Kissel in the WSJ. From the tranquil vantage point of Pacific Command's headquarters here at Camp H.M. Smith, overlooking Pearl Harbor, it's hard to recall the postcards from China that have jolted this command's peace of mind. Yet they are there: in 2004, when a Chinese Han-class nuclear submarine was spotted cruising near Japan's Miyako island; in 2006, when a Chinese Song-class submarine, armed with torpedoes and antiship cruise missiles, surfaced less than five miles from the USS Kitty Hawk carrier battle group off Okinawa; and in March, when a coterie of Chinese ships harassed the USNS Impeccable, an unarmed U.S. Navy surveillance ship operating in international waters off Hainan Island. All sides counseled calm in these incidents, and none more so than the admiral in charge of Pacific Command, the U.S. military's biggest combatant command. The current chief, Timothy J. Keating, travels the region, as his predecessors before him, preaching the virtues of engagement. "It's not like we're going to go charging around the Pacific with our chin thrust out," he tells me. "Quite the contrary: We want to ease around the Pacific." China is not a "threat." Yet the tone of his public message is so resoundingly and consistently upbeat that it's starting to bring into question the Command's credibility and worry America's allies about the Navy's muscularity in the face of a rising China. 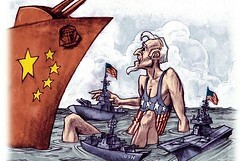 Call it the Pacific Command conundrum: How to talk frankly about threats and reassure U.S. allies while not goading Beijing needlessly? ....in its defense white paper projecting out to 2030, Australia predicted "the rise of China, the emergence of India and the beginning of the end of the so-called unipolar moment; the almost two-decade-long period in which the pre-eminence of our principal ally, the United States, was without question." Andrew Shearer, national security advisor to former Australian Prime Minister John Howard, says no one in Asia wants a "fractious" U.S.-China relationship, but equally, "nor do U.S. allies want the U.S. to be a pushover." "When someone is kicking sand in your face and you continue to lie back on your beach towel, that's a risk," he quips. Listen to the guys from Oz. They are a small country on a continent full of wealth with hungry, overpopulated neighbors. They don't have time or space for foolishness. This should not be a surprise to anyone. 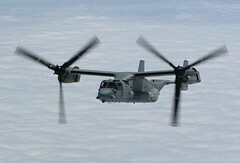 Since they killed the Common Support Aircraft - it was only a matter of time until they looked at the Osprey. The Navy may replace its aging fleet of C-2 Greyhounds with tilt-rotor V-22 Ospreys, a Navy spokeswoman said. “The V-22 is being considered as one option for the replacement of the C-2; however, there has been no final determination and, to date, there have been no Navy-specific requirements designed into the V-22,” said Lt. Callie Ferrari, a spokeswoman at the Pentagon. The Osprey — a revolutionary aircraft that takes off like a helicopter and flies like a fixed-wing plane — has just recently begun to deploy with the Marine Corps, its primary customer. Ahem ... this will be fun.... Hey SJS .... you know they can build an AEW version of the Osprey too? I am glad that President Obama finally cleared things up for everyone. If you haven't already, click here and give it a read. It is 66 pages total and has some things redacted - but there is plenty here to absorb. Like I mentioned yesterday, what I want to do here isn't to fully parse and discuss the whole thing, but instead pull out a "Top-5" takeaways. "These concepts are not new. However, implemented aggressively, they will be revolutionary to our effectiveness." Ungh, the "R"word. I'll let the hyperbole pass - as the importance of this is that it lets you know that the new strategy isn't. McChrystal is banging the same drum as McNeill and McKiernan - except this time louder. Transfer OEF units OPCON to COMISAF and place them on the ISAF Combined Joint Statement of Requirements. Why big? OEF were strictly under USA C2 and not ISAF. As such, they could do more "things" that under ISAF/NATO ROE they could not. In the end though, it is fine. What is significant though is what is under the surface here. ISAF CJSOR has been under-resourced as we have tried very hard to get NATO to do what it promised. It has not. By taking OEF units to fill the hole, we effectively say, "To h3ll with you. We give up. We'll do it." Yes, Uncle Sam is not only taking back the keys - he is p155ed. If there is anything very different now than a year ago -- the USA has become more unilateral vice multilateral in AFG. Ironic thing to do in a Democrat administration I guess - but that is OK as it is the right answer. 3 --- Planning 101. Go to Annex A, "Military Plans." This is a classic schooling. This is the result of McChrystal and his crew just having their fill of the Rube Goldberg construction of the Operational Plan for ISAF. A plan hobbled together from Effects and non-Effects based plans with USA, Brit and other planning concepts that just do not fit together well. It is a good thing to happen, a mandate to clean up the plans. Not quite deck-chairs on the Titanic either, as if you cannot plan well - you will execute worse. It would be interesting to see the product that comes out from this --- probably by Christmas. War College geeks should read this section twice. Very good read. A failure to reverse the momentum of the insurgency will not only preclude success in Afghanistan, it will result in a loss of public and political support outside Afghanistan. Very good point, one that needs repeating. This was a mistake. We have a Conditions Based comment .... but with a Time Based definer. The politicians will focus on the 12-24 months. What if the Condition (or Effect, if you will) of the additional forces does not cause a significant change until 36 months? What if the politicians want, as you know they will, for a status update closer to the 12 vice the 24? This raises the Political Risk way too high in exchange for a hope for any gain made by putting this in the document. 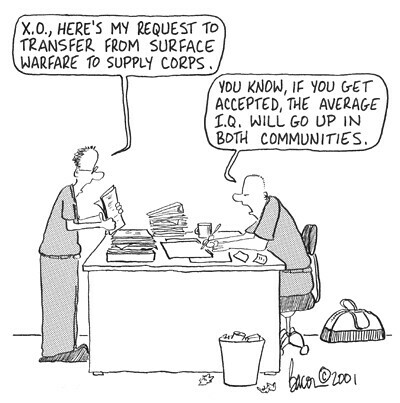 Proper resourcing will be critical. The campaign in Afghanistan as been historically under-resourced and remains so today - ISAF is operating in a culture of poverty. The natural by byproduct of NATO culmination in DEC 07. Many of the nations simply wanted to contribute enough to get their flag out front and join the parade if victory happens -- but small enough that they could not take the blame for failure. Throughout the document you will see comments about troops not leaving bases, not getting involved with the local population, laden with caveats, not understanding COIN ..... those comments are all in the face of our NATO allies; Germany, Italy, Spain more than most. Those are my Top-5 Take-Aways. The Executive Summary: We know what it takes to win, we always have. We are no longer going to be quiet about it ... the stakes are too high. Lead, follow, or get the h311 out of the way. UPDATE: In today's WaPo, two good reads here and here. But before any decision is made, some of President Obama's civilian advisers have proposed looking at other, less costly options to address his primary goal of preventing al-Qaeda from reestablishing itself in Afghanistan. Those options include a redirection of U.S. efforts -- away from protecting the Afghan population and building the Afghan state and toward persuading the Taliban to stop fighting -- as well as an escalation of targeted attacks against al-Qaeda itself in Pakistan and elsewhere. The commander's report, administration officials said, is only one of many "inputs" the president is considering. Others include assessments from the State Department, the intelligence community and his White House advisers. Obama's decision is complicated by a deepening domestic political divide and no guarantee of success whichever option he chooses. One observer, characterizing the president's dilemma at its most extreme, said: "He can send more troops and it will be a disaster and he will destroy the Democratic Party. Or he can send no more troops and it will be a disaster and the Republicans will say he lost the war." Why be worried - harumph. But Sen. John F. Kerry (D-Mass. ), chairman of the Senate Foreign Relations Committee and a Navy veteran of Vietnam who once led opposition to that war, praised Obama's deliberative pace. "All the president is saying is that he wants to take the time to make sure this decision is not done like the Gulf of Tonkin" resolution, where "underlying assumptions aren't questioned," Kerry said. The 1964 joint congressional resolution, based on false information about North Vietnamese actions and adopted amid an anti-communist frenzy, authorized President Lyndon B. Johnson to use military force in Southeast Asia. Some people have never left Vietnam. There is one thing from Vietnam that does translate - that is the Strategic Center of Gravity ..... and it is right inside the DC Beltway. UPDATE II - Electric Boogaloo: Things get more and more interesting. Over at Politico, they are talking about the DC whodunit WRT the leak. Bob Woodward’s Monday-morning exclusive on a 66-page report from Gen. Stanley McChrystal to President Barack Obama about Afghanistan policy was a rite of passage for the new administration: the first major national security leak and a sure sign that the celebrated Washington Post reporter has penetrated yet another administration. White House officials greeted the leak with a grimace, but none suggested they’d begin a witch hunt for the leaker. Woodward is famous for his access to the principals themselves — he recently traveled to Afghanistan with National Security Adviser James Jones — and leak hunters couldn’t expect with confidence that they’d find themselves disciplining just an undisciplined junior staffer. Via Greyhawk, there is also this tid-bit from Roggio. Via a link from Chap - another demonstration why we should be in multi-cam. It is the right answer for this war and that theater. The only reason we are stuck - especially the unsupportable Navy DCUs - with what we have is the same reason Army Group Center had no winter clothes and our Navy makes you own three sets of camo uniforms in your sea bag; REMF bean counters and tender egos who think the war is all about their conveniences and pet projects. They don't have to actually wear them or deploy - so they will take the bureaucratic short cut - what requires the least work for them. Those in harm's way be damned. Watch this and then ask yourself - where was this digging on then Sen. Obama (D-IL) and his history working with Acorn, Ayers, and his chicken-roost'n preacher? Old news, perhaps. But when a woman who isn't even old enough to have a beer can do what she has done to the CINC's political baby - it just makes the legacy media seem even smaller than it is. Via the WaPo, we have the 66-page NATO Confidential (REL EVERYONE) "COMISAF'S INITIAL ESTIMATE" from General McChrystal to SECDEF Gates. Tomorrow AM I will post my "Top 5" take-aways. Read it and join in the discussion in comments for that post tomorrow. No cheating by going early here. Note that McChrystal sent this on his NATO letterhead as Commander of NATO International Security Assistance Force, Afghanistan. The fact remains that almost anything you give to NATO leaks. Almost anything. In an expected good sign from the new commander of NATO and US forces in AFG, General McChrystal put out a statement that is almost, to the word, in full alignment with he predecessors McKiernan and McNeill. The top U.S. and NATO commander in Afghanistan warns in an urgent, confidential assessment of the war that he needs more forces within the next year and bluntly states that without them, the eight-year conflict "will likely result in failure,"
"Failure to gain the initiative and reverse insurgent momentum in the near-term (next 12 months) -- while Afghan security capacity matures -- risks an outcome where defeating the insurgency is no longer possible." McChrystal is equally critical of the command he has led since June 15. The key weakness of ISAF, he says, is that it is not aggressively defending the Afghan population. "Pre-occupied with protection of our own forces, we have operated in a manner that distances us -- physically and psychologically -- from the people we seek to protect. . . . The insurgents cannot defeat us militarily; but we can defeat ourselves." Read it all. Once again - we have a plan in place that, tweaked when needed, will give us success. All you need it patience and will. Have you seen the latest GM commercial? I feel sorry for the guv'munt hired CEO, Jim Whitacre. He seems like a nice guy and a very smart professional. I actually have a weak spot for him - I like his accent. Thing is - he shouldn't do his own commercials ... or should have less PR Yes Men around him. I think he could have done better. That is why I am worried for GM as it moves forward. The historical institutional habits of GM are well known, and make the Navy Pentagon culture look like a hippie commune by comparison ... that is one reason GM got in the trouble they are in. A self-appointed aristocracy defined by an isolated leadership, fed happy talk, and surrounded by sycophants is not a formula for success. It never has. In a classic case of hope winning over experience - I would hope that GM would somehow come out the other end a changes corporation, but .... this add gives me indications and warnings that it may not have. He needed more takes and some time with a speech coach. No excuse to let your senior executive walk around with no clothes on. The next step for the CEO of GM is to fire his personal staff and PR head. They failed him miserably in this case - he can do better. If he dismissed good advice, well, then, there is the problem. While I was walking back from a pint at Kelly's Irish Times the day before Salamandapalooza-DC, I walked by the Senate Office Building ... right past where the Senators park. You would think that after deciding to borrow billions of dollars from my children, that they would show a little love for GM and Chrylser? Well, in their parking spots I saw one: a Lincoln limo - with a driver in it and the car running. As I walked past the parking lot, what other US vehicle did I see? Why the one with the "1" and "US Senate" license plate from Vermont (Sen. Leahy? ). A Ford Explorer. A little irony there. Yes, a USA car - but not one sent my children's yet-unearned money to. And it is a SUV. Yes, I do love DC. Seriously, I do - any fan of the human condition must. Until I got to the Vermont EarthCriminal, I saw: Lexus, Nissan, Toyota, Volvo, Mercedes, Volvo, Lexus, Honda. Just a thought. Even if those were staffers...... that there is funny. You were vacationing in Europe back then, weren't you? Dude; so who is up for BALTOPS next year? PS: here is the backstory. UPDATE: Here are some real ones. This is about right - and yes, they do almost all speak English. Today, 15 September, 2009, Medal of Honor recipient Major Everett Pope, USMC, was buried at Arlington Cemetery. He died in July, on his 90th birthday. Rank and organization: Captain, U.S. Marine Corps, Company C, 1st Battalion, 1st Marines, 1st Marine Division. Place and date: Peleliu Island, Palau group, 19-20 September 1944. Entered service at: Massachusetts. Born: 16 July 1919, Milton, Mass. 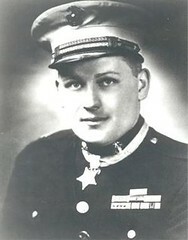 For conspicuous gallantry and intrepidity at the risk of his life above and beyond the call of duty while serving as commanding officer of Company C, 1st Battalion, 1st Marines, 1st Marine Division, during action against enemy Japanese forces on Peleliu Island, Palau group, on 19-20 September 1944. Subjected to pointblank cannon fire which caused heavy casualties and badly disorganized his company while assaulting a steep coral hill, Capt. Pope rallied his men and gallantly led them to the summit in the face of machinegun, mortar, and sniper fire. Forced by widespread hostile attack to deploy the remnants of his company thinly in order to hold the ground won, and with his machineguns out of order and insufficient water and ammunition, he remained on the exposed hill with 12 men and 1 wounded officer determined to hold through the night. Attacked continuously with grenades, machineguns, and rifles from 3 sides, he and his valiant men fiercely beat back or destroyed the enemy, resorting to hand-to-hand combat as the supply of ammunition dwindled, and still maintaining his lines with his 8 remaining riflemen when daylight brought more deadly fire and he was ordered to withdraw. His valiant leadership against devastating odds while protecting the units below from heavy Japanese attack reflects the highest credit upon Capt. Pope and the U.S. Naval Service . Read this and this. Nuff said.. So, we align ourselves with Russian and China against NATO allies who are taking a significant political and economic risk to help us? We align ourselves with an expansionist, Socialist, Dictator wanna-be from one country, against a Judiciary and a Legislature from another lawfully defending their Constitution and liberty against an aspiring despot? Ok. About what I thought. Change you can choke on. UPDATE: Don't think that our Polish friends don't recall that The 1939 Soviet invasion of Poland started without a formal declaration of war on 17 September 1939. UPDATE II - Electric Boogaloo: Here is Ref A.
Hmmmmmmm, I think we have all seen this before. One diplomat told The Washington Times that he has decided to resign in part because of frustration with "rampant self-censorship" by Foreign Service officers and their superiors that has gone so far as to ban "bad news" cables from countries that are friendly with the United States. More than a dozen diplomats serving in Washington and abroad told The Times that they agreed with most of the officer's critique, and that the censorship has continued to a lesser extent in the Obama administration. All asked not to be named to avoid retribution. A logical outcome of "you get what you reward." They attributed its continuation to a risk-averse institutional culture. Why risk-adverse? Simple, there is no upside to pointing out where there are problems because problems require work and phone calls to bosses to talk about negative things. Many bosses, the bad ones, do not like to talk about negative things and don't reward those who make their mornings uncomfortable. Therefor, the human being will respond to those signals. Result; happy talk and an incorrect view of reality. Have you been to one of the CNO's "Hours of Power?" Nod your head to him - he is trying to hear the ground truth. I wonder how comfortable and direct SECSTATE's "Hour of Power" would be? Then again, DoS is full of long-term staffers that will outlast any administration. That is where the problem is. Can you fix a person problem when personnel rules make that almost impossible? Harumph. Good luck with that. So Phib, what is this Diversity Industry you are talking about? Well, check out this no bid contract. FISC Norfolk Philadelphia Division intends to procure services in support of the mission of the MPTE Workforce Diversity Strategy Development and Implementation to identify, attract and retain the most talented and diverse workforce. Overall services will include executive consulting services to provide diversity focused strategic guidance, corporate best practices and civilian diversity influencer relationship development. The services to be provided will specifically entail eight (8) key elements. 1. Minority Flag Engagement Strategy. 2. Diversity Blue Chip Recruit Engagement Strategy. 3. Diversity Senior Advisory Group Consultant. 4. Task Force Life Work (TFLW) Strategy. 5. Outreach consulting. 6. Academia Diversity Engagement. 7. Navy Flag Officer/Senior Executive Seminar (NFOSES) Support. 8. Diversity Principle Statement/Strategy. This acquisition will be solicited on a sole source basis with Ted Childs LLC of Pound Ridge NY. The Navy intends to solicit for a firm fixed price contract with an anticipated period of performance one year, will be negotiated. The NAICS code for this effort is 541618. The proposed action is to procure services for which the Government intends to solicit and negotiate with only Ted Childs LLC on a sole source basis pursuant to FAR 6-302-1. Ted Childs LLC is the most appropriate provider of these services as this organization has extensive knowledge of the Navy Flag Officer internal personnel systems, processes, philosophy, and needs as they relate to diversity goals, influencers, and objectives. THIS NOTICE OF INTENT IS NOT A REQUEST FOR COMPETITIVE PROPOSALS Numbered Note 22: The proposed contract action is for supplies or services for which the Government intends to solicit and negotiate with only one source under the authority of FAR 6.302-1. Interested persons may identify their interest and capability to respond to the requirement with a Technical Capability Statement. . This notice of intent is not a request for competitive proposals. However, all capability statements received within fifteen days after date of publication of this synopsis will be considered by the Government. A determination by the Government not to compete with this proposed contract based upon responses to this notice is solely within the discretion of the Government. Information received will normally be considered solely for the purpose of determining whether to conduct a competitive procurement. Good work if you can get it. Haliburton has nothing on this crew. Here is the company's website. Chew on it awhile. Do you really think this is the only company in our nation's diversity industry - a guy only at this since '06 - that could perform this self-licking ice cream cone of a contract? Look at that thin resume. And what, pray tell, are your tax dollars buying? Ted’s Affiliations are reflected through a network of relationships that he defines as Ted’s Eco-System. Joy. A Navy at War. On final note, on the "Experience" part of the website, this guy has an actually registered, registered with the circle-around-the-"R" registered, the following comment. I don't care who you hate, you don't hate them more than you love money. Great entering discussion point. I think it tells you more about the person saying it than the people he is saying it to. Shame on the Navy. Our Sailors deserve better than this. I'm going to let ya'll fight this out over at USNIBlog. The Navy announced today it will down select between the two Littoral Combat Ship (LCS) designs in fiscal 2010. The current LCS seaframe construction solicitation will be cancelled and a new solicitation will be issued. At down select, a single prime contractor and shipyard will be awarded a fixed price incentive contract for up to 10 ships with two ships in fiscal 2010 and options through fiscal 2014. This decision was reached after careful review of the fiscal 2010 industry bids, consideration of total program costs, and ongoing discussions with Congress. "This change to increase competition is required so we can build the LCS at an affordable price," said Ray Mabus, secretary of the Navy. "LCS is vital to our Navy's future. It must succeed." "Both ships meet our operational requirements and we need LCS now to meet the warfighters' needs," said Adm. Gary Roughead, chief of naval operations. "Down selecting now will improve affordability and will allow us to build LCS at a realistic cost and not compromise critical warfighting capabilities." I need to go see the Doctor, as my neck in killing me. This program takes so many turns and twist as it flails around trying to explain itself I think my neck has been thrown out of whack. This makes me laugh about the same as the though of Senator Sestak (D-PA). Speaking for CDRSalamander though; we-told-you-so. Oh, as for which one I wold pick? You might as well ask me which of the two teams playing do I think will win the World Series. H3ll if I know - there isn't enough data to tell you ... heck, we don't even know what the teams are. This program is what it is. I won't go through it again. I need to grab the Lava bar and take a long, hot shower with a toilet bowl scrubber. Perfect. Brain bits exploding under AFDB's all over the place. The Patriot Act, often criticized under President Bush, is now about to be renewed by the Obama administration. Democrats had roundly criticized the then Republican Congress and President Bush when the bills was passed. Now they and Obama have to decide whether or not to renew the Patriot Act. If it is renewed, it will bring down the wrath Democrats and civil libertarians. If it is not passed, and there is a terrorist attack that might have been prevented by the Act, it will be used by Republicans as proof that they were right in passing it to protect national security. RADM Miller: can we have some ice for our nuts? What are the reverse numbers? With a 1000 ITA coffee and 1545 ESP work release? Why the '80s were GREAT!